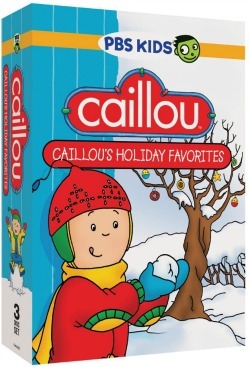 For the fans in your house, Caillou’s Holiday Favourites came out on DVD October 8. If your family hasn’t discovered this sweet little boy yet, the show is perfect for ages 2-5. Join Caillou and Rosie as they learn new things and have new experiences with the loving support of their Mom and Dad. Oh and don’t forget the cat, Gilbert! For a SRP of $19.99 this is a money saver as one DVD tends to retail at $9.99 and you are getting three! If you live in the US, you can get the DVD set on Amazon.com for only $9.99! Otherwise you can find it at most stores that sell DVDs.